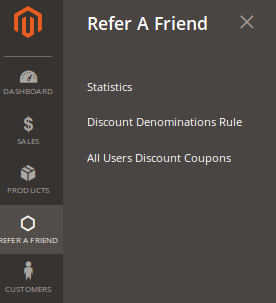 Refer to Friend is an extension developed for Magento® 2.x.x. 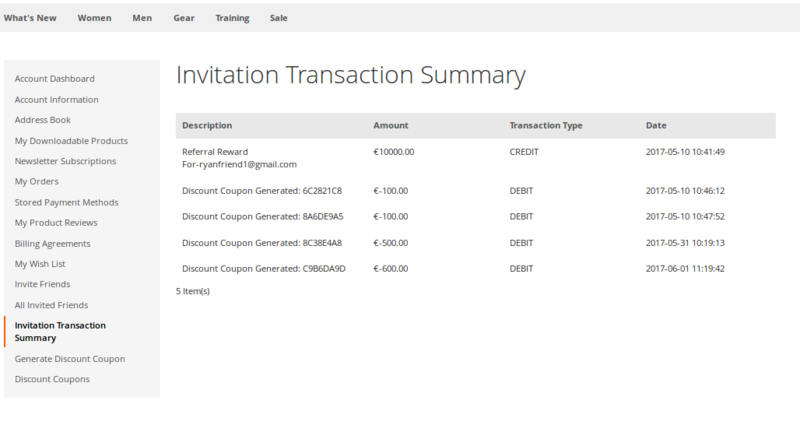 It allows the registered front-end users to invite their friends to the Magento Store and earn the discount coupons. 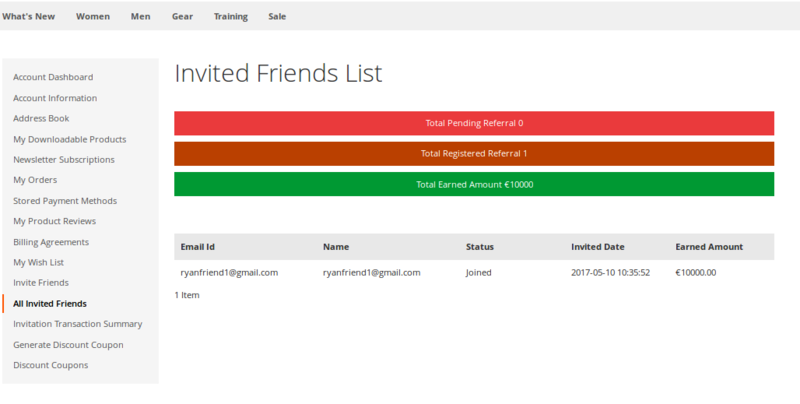 Allows front-end users to refer their friends and avail the discounts, once the referred friend registers to the Magento store. 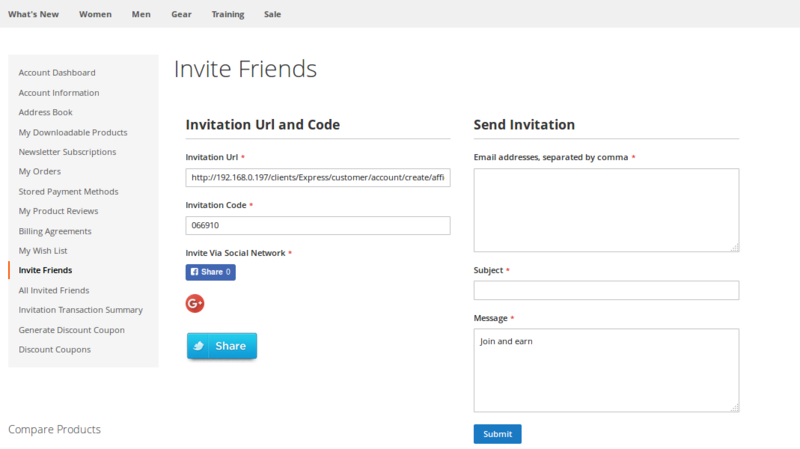 Users get the reward points and their friend gets the signup bonus. Admin can view the list of the referred users. The user can convert the earned points to discount. Helps in generating sales thereby revenue on the site. Magento – 2.0 or greater. Thank-you for your interest in Refer to Friend, Makewebbetter. Please feel free to ask any pre-sale questions. Take your time before the purchase and confirm everything including compatibility, usability and so on by engaging in conversation with our ever-ready support team, before making the purchase. Do not ask for a refund if you are expecting any feature not mentioned on the product page or not confirmed by our support team in pre-sale conversation, as it will demotivate us despite all our hard work and help.